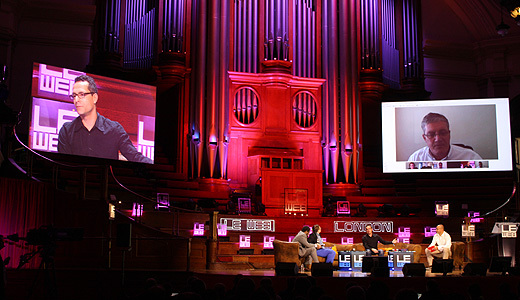 Today at LeWeb 2012, Bradley Horowitz, VP of Product for Google+ announced a partnership with Flipboard. Naturally we had to catch up with him to find out a little more about the deal and how it will work. Interestingly, the move was prompted by Flipboard users calling for Google+ integration. Horowitz demonstrated Google Hangouts at the conference with an iPad rather than an Android device, so we asked him if he was loyal to the Google mobile and tablet OS or maybe more device agnostic.